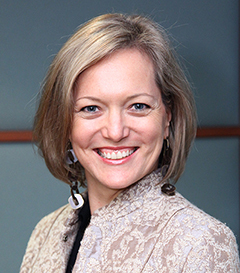 Nadja Alexander is an award winning author and educator, a conflict intervention professional, and an adviser on mediation policy to international bodies and national governments. Nadja is Academic Director of the Singapore International Dispute Resolution Academy and Visiting Professor of Law at Singapore Management University. Her work has appeared in the English, German, French, Arabic, Russian and Chinese languages. Nadja has worked in conflict resolution settings in more than 30 countries across Africa, Asia, Europe, the Americas and Oceania. She sits on mediation panels in Singapore, Hong Kong and Australia and is a board member of the Singapore International Mediation Institute and Vice-Chair of the IBA Mediation Committee. Nadja holds concurrent appointments as Honorary Professor of Law at The University of Queensland, Australia, and Senior Fellow of the Dispute Resolution Institute at Mitchell-Hamline School of Law in the United States. She was previously a Humboldt Fellow at the Max Planck Institute in Germany. EU Mediation Law Handbook: Regulatory Robustness Ratings for Mediation Regimes. Read this book to know all the important details. Buy now!